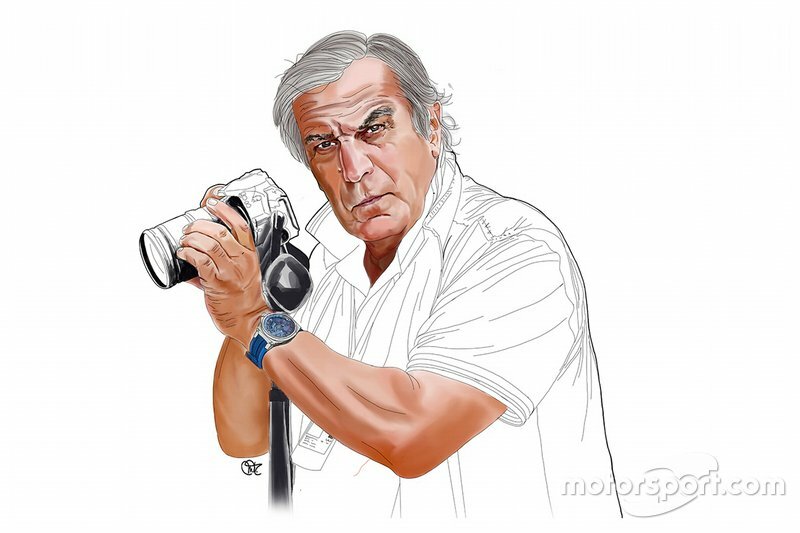 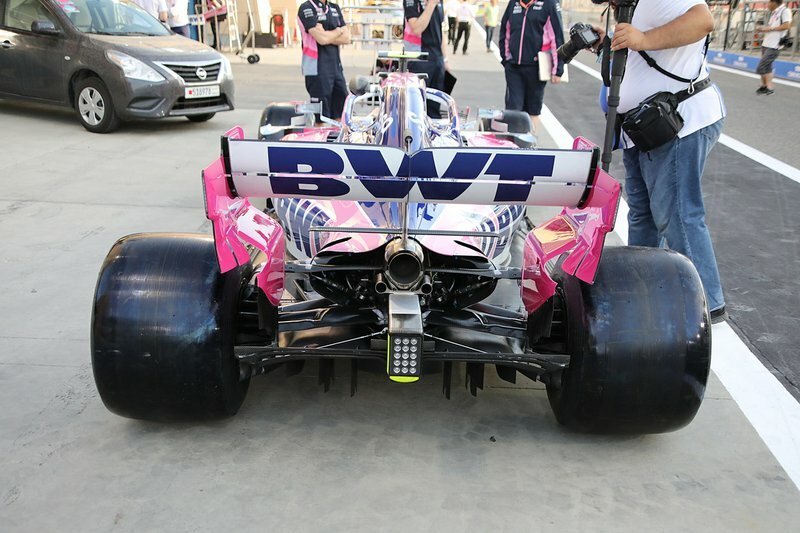 Giorgio Piola and Sutton Images bring you the Formula 1 technical updates on show in the Sakhir pitlane at the Bahrain Grand Prix, giving insight into the relentless development undertaken by the teams in pursuit of more performance. 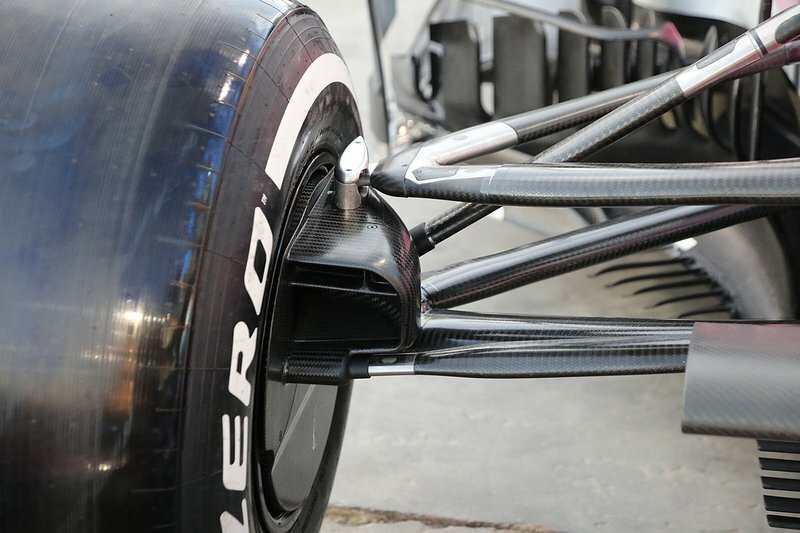 A close up of the raised front suspension and brake duct inlet on the Racing Point RP19. 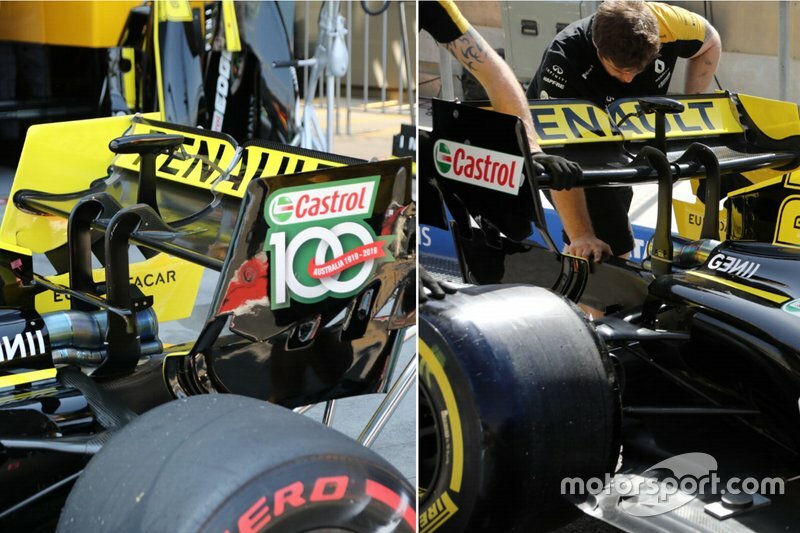 A comparison of the rear wing specification used in Australia (left) and a different solution that’ll be tested in Bahrain (right). 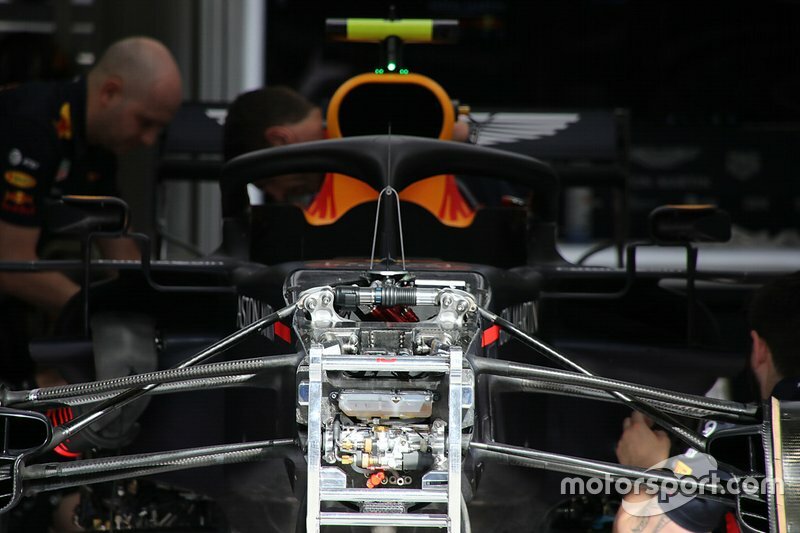 A look at the Red Bull RB15’s front suspension, which utilizes Belleville springs as part of the heave damper configuration. 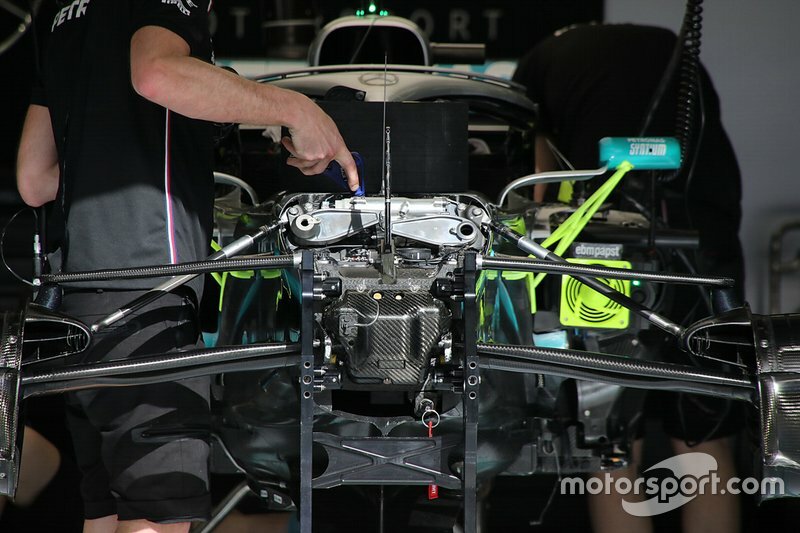 As a comparison we can see the different suspension setup favoured by Mercedes. 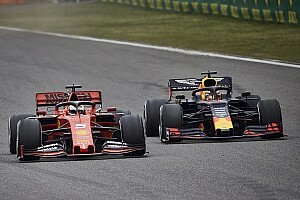 The rear wheel solution used by McLaren this year that draws parallels from the one introduced by Mercedes during the latter phase of last season. 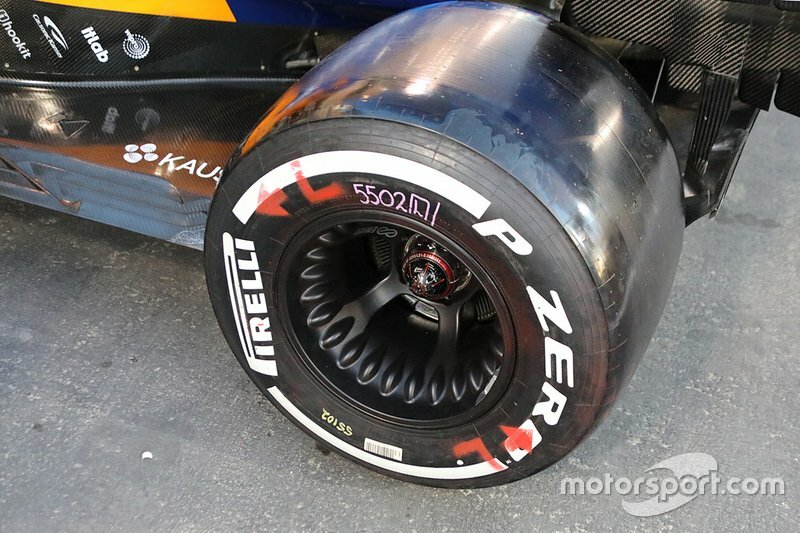 A look at the rear of the Racing Point RP19’s rear end and corresponding cooling outlet that’ll be run in Bahrain. 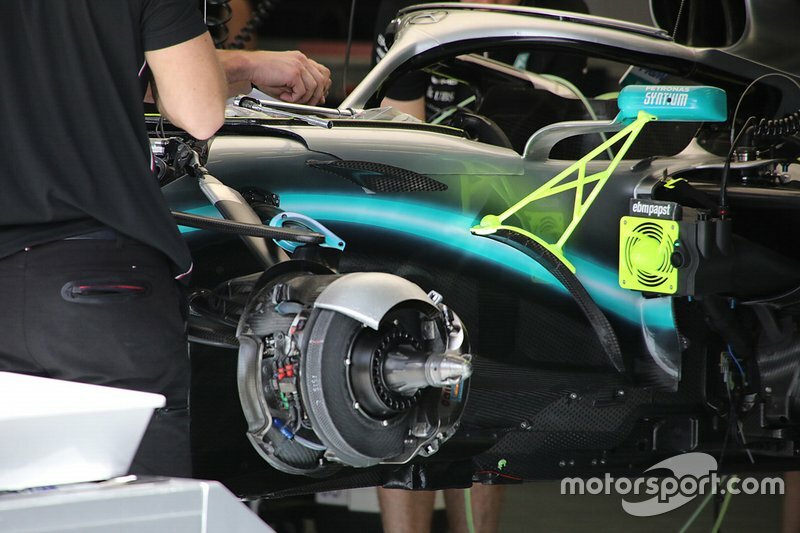 The Mercedes W10’s front brake assembly without the drum attached shows how airflow captured by the inlet crosses over the assembly will then be directed out through the wheel rim. 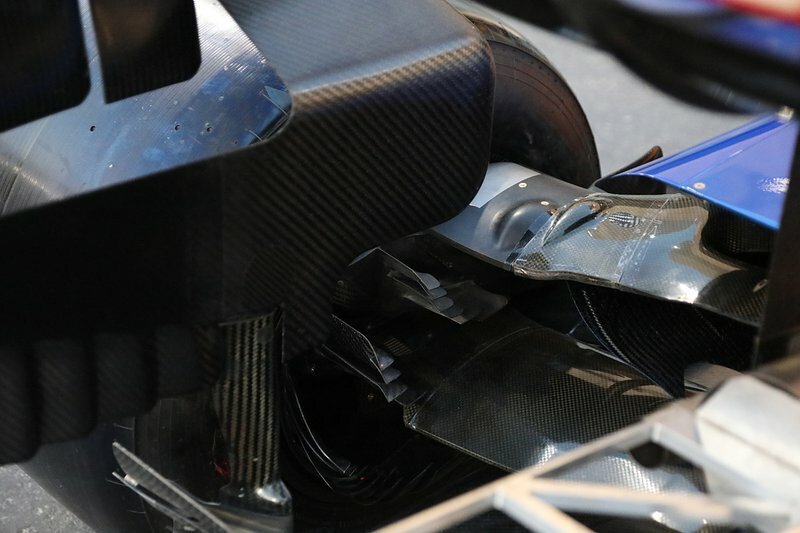 A comparison of the Mercedes W10 front brake duct with the drum fixed upon it. 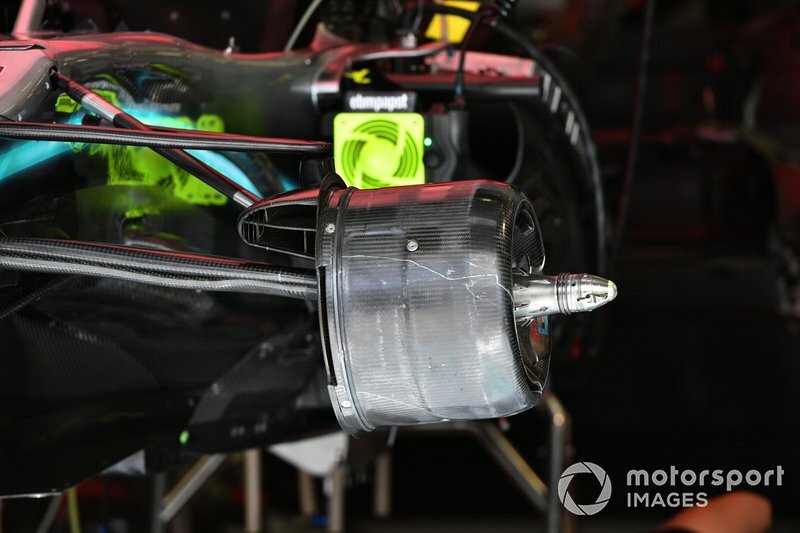 A close up of the McLaren MCL34’s rear suspension, note the bumps on the upper wishbone arm which smooth out the airflow that pass over them. 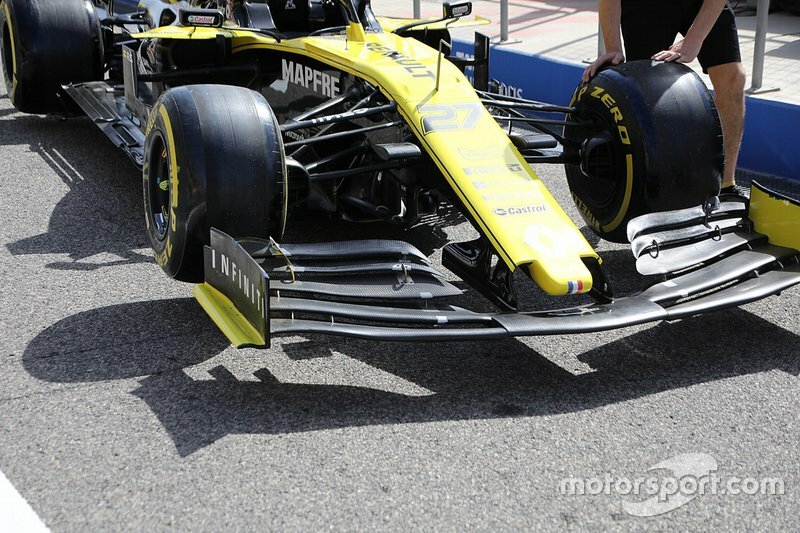 A look at Renault’s front wing assembly as the car is wheeled down the pit lane. 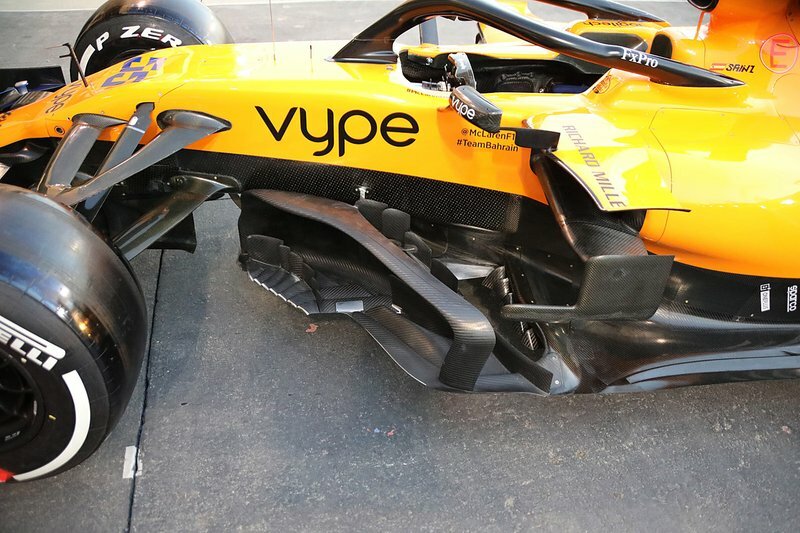 An overview of the bargeboard region on the McLaren MCL34 which has been updated for the Bahrain GP. 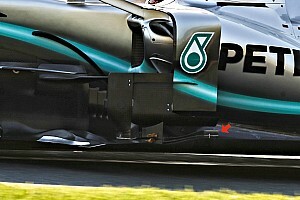 The forward-most footplate section is now a little shorter, while the splitter extension has been made longer (in silver). 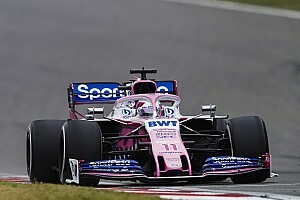 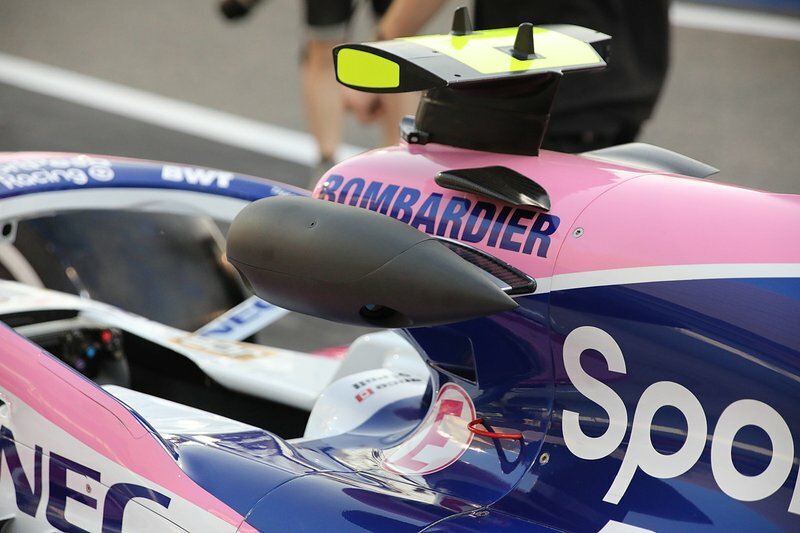 Racing Point has a larger than usual camera pod mounted on the side of the airbox, which incorporates a wider band thermal imaging camera and the associated capture hardware. 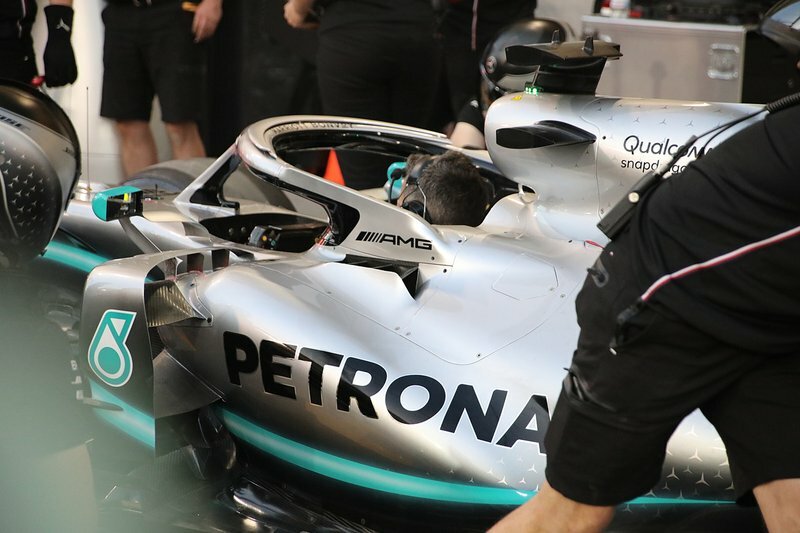 Mercedes will explore cooling options during Free Practice, with this larger capacity solution installed ready for the first session. 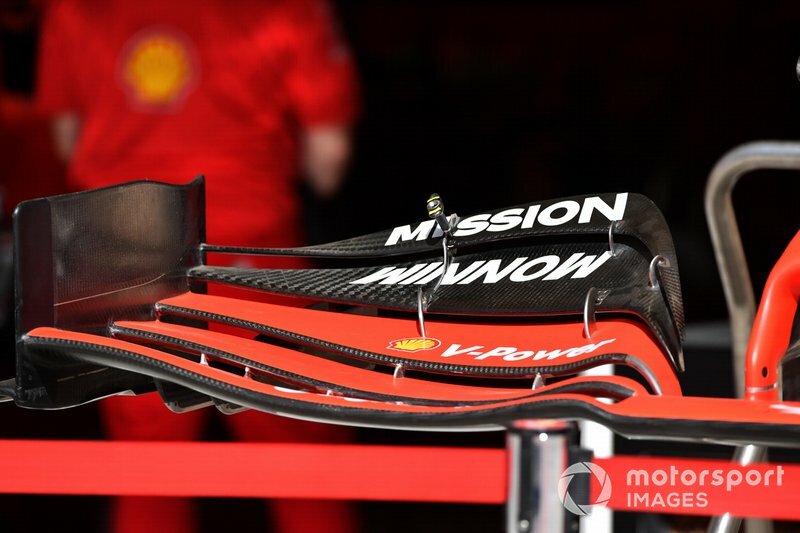 A look at Ferrari’s front wing that elegantly slopes away towards the endplate. 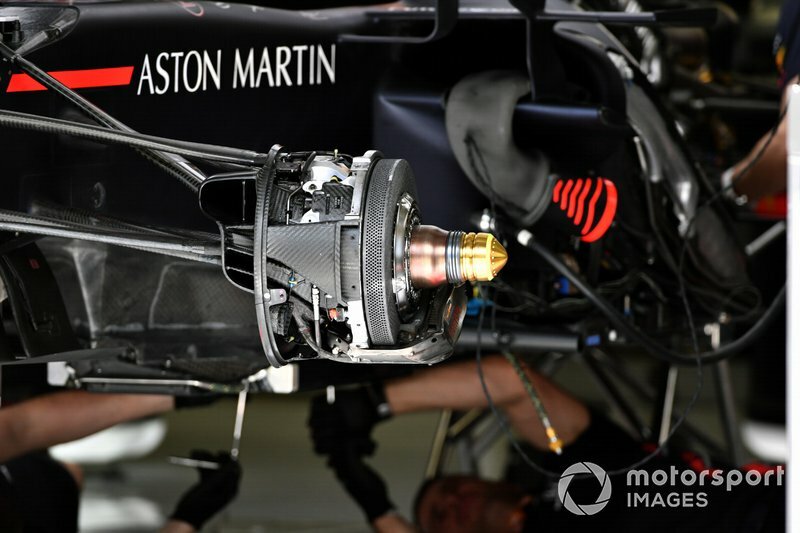 Red Bull’s front brake assembly without the drum installed. 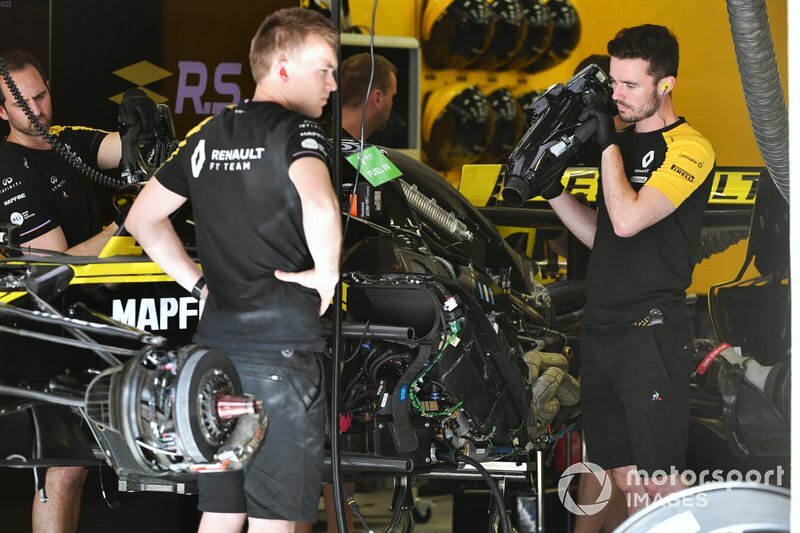 The Renault RS19 without its bodywork on gives us a great view of the power unit installation along with the ancillary components. 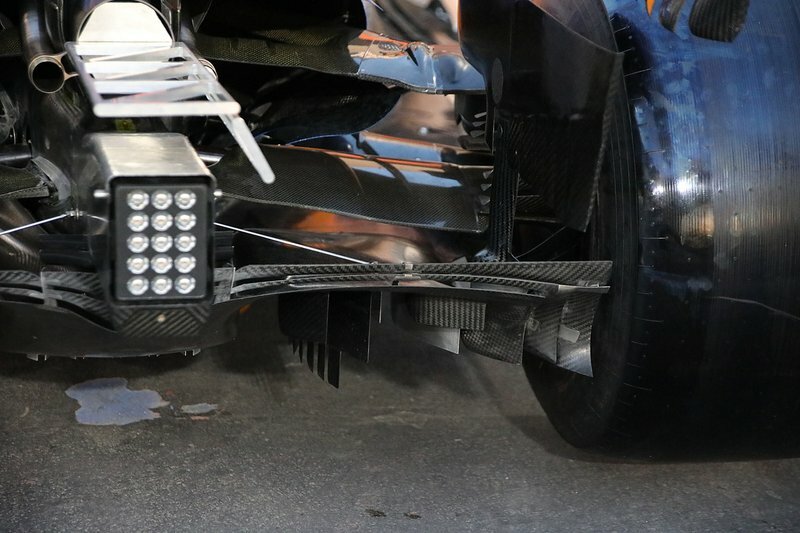 A close up of the McLaren MCL34’s diffuser, note the complex array of strakes. 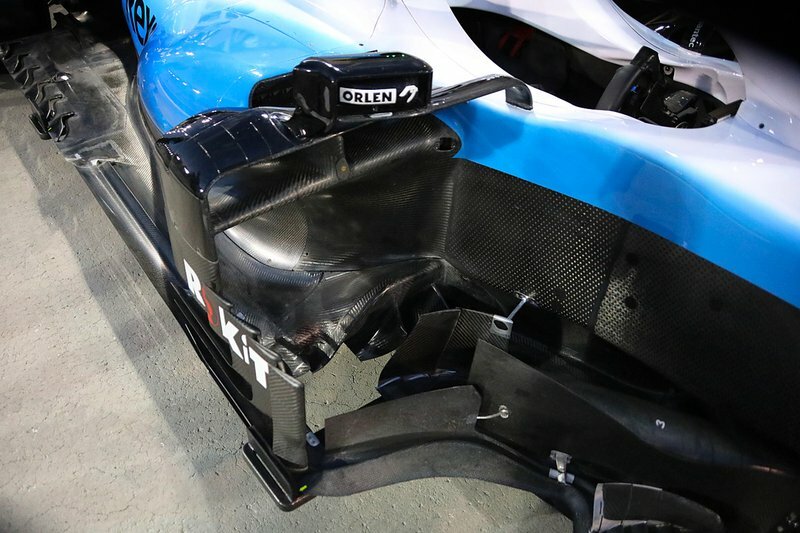 An overview of the Williams FW42’s sidepods, bargeboards and floor. 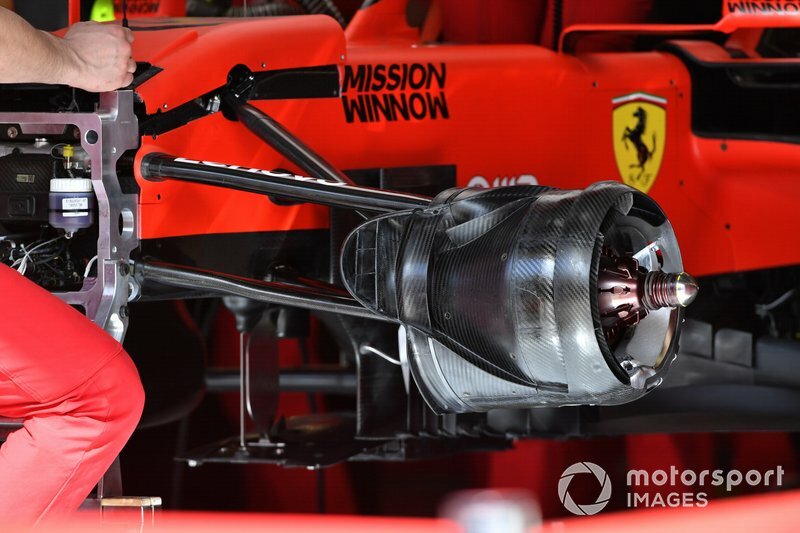 Ferrari’s front brake duct assembly features a huge crossover flow channel that funnels airflow from the inlet out through the wheel rim to help control the wake generated. 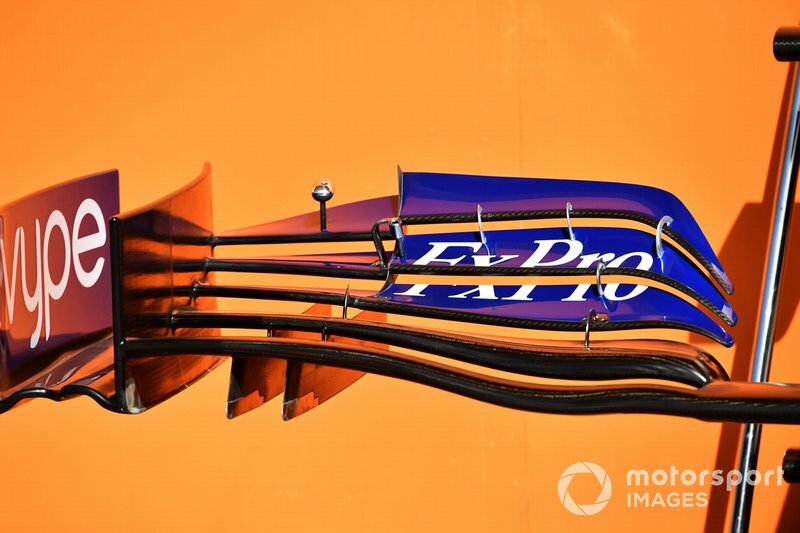 A look at McLaren’s front wing which features two distinct sections, the inner part of the wing is responsible for downforce generation, whilst the less steeply angled outer section softens the vortex ordinarily generated at the wing tip. 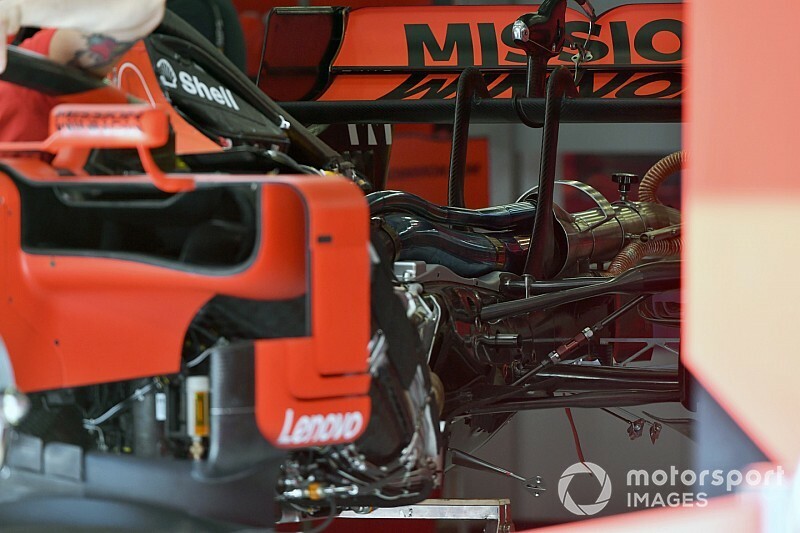 An overview of the Ferrari SF90’s exhaust solution without the engine cover installed.